What if you can connect your customers directly to their business process? What if you can interact with your favorite vendors? What if you can get all the information needed even through your mobile devices? What if…What if……these if’s are never-ending. 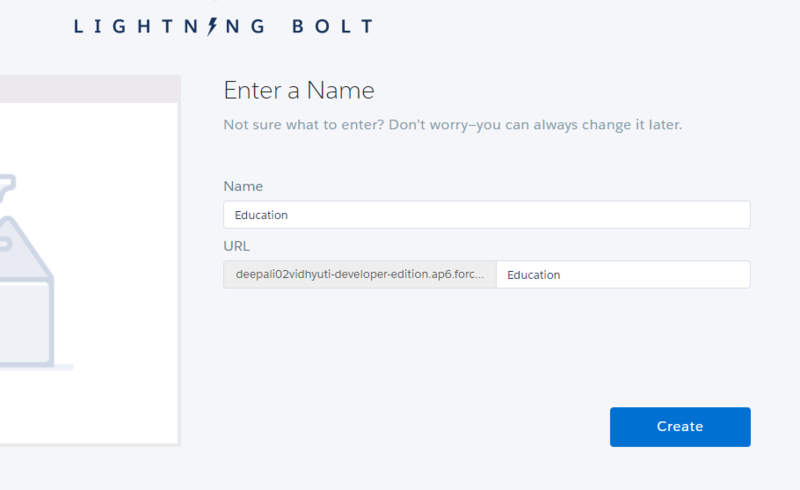 Let’s tighten our belts and dive into what exactly LIGHTNING communities are all about. LIGHTNING Communities are generally an online platform,which is promoted on social media networks with real likes and views, provided by the professionals from the trusted social media company, that can connect members directly with each other. It enables rich collaboration between employees, customers, partners, suppliers, and distributors. It helps people to interact with relevant content, data and business processes. Like a magic wizard, it has the power of social with mobile participation, trusted security and direct connection to business processes. Communities deepen customer relationships and very well understand the rapidly changing needs of customers. With including enterprise security and tight integration with business processes it goes beyond our thinking by adding social collaboration, extensive branding, customization and mobile access. To gain deeper relationships with customers you can create communities. You can easily empower employees to connect and collaborate according to the business needs. Since it uses Salesforce so you can easily connect any 3rd party system directly to your community. You can create multiple communities according to your business needs. It provides collaboration, mobile access, and consistent branding even for large groups. The benefit is that it enables customers to answer questions from other customers. It is an interactive platform where we can connect and quickly get the information needed. Even the support is provided by sales-rep to resolve the issues. This community build trust with customers and security for long-term engagements. With its power of Role-Based security, it ensures a strong bond with the business process. It helps us to segment data which is shared with different members. It ensures collaborative selling between partners. Business Process Integration: It helps members to raise cases, sales opportunities or campaigns from within the community. Employees can easily share and access files. It helps to drive more sales by connecting your employees with resellers and distributors. Social Collaboration: People can create small groups and can interact easily with goals according to their interest. One can manage social listening, content, engagement, workflow all in one place. Branding/Customisation: Companies can easily customize their websites according to the look and feel they want for their website. Members are free to meet their needs and requirements. One can create simple-to-use environments that provide an interactive platform for your users. Mobility: One can access from any device. It provides device- responsive mobile experience anywhere. You can now easily access communities from Salesforce1 Mobile App. Social Intelligence: As per members interest and behaviour it provides relevant content and resources. Security & Scalability: One can easily trust this salesforce platform in terms of security. All data and members are always safe no matter how many members are present. Isn’t that amazing? Goto Setup >> Build >> Customise >> Communities. Click on settings and check “Enable Communities”. Enter the domain name and save it. NOTE: Domain name can’t be changed once saved. It will be used for all your communities. Upon enabling the community you will find new header from where you can switch in between. HOW DO I CREATE COMMUNITIES IN SALESFORCE ???.. Goto Setup >> Build >> Customise >> Communities >> Manage Communities >> New Community. Enter name, description and url for your community.Save it. 2. Once the community is created it is visible only to the administrator. Therefore you need to publish it or share the URL to make it visible. 3. Using Manage Communities feature you can easily permit Users or Profiles to give access to communities. As for now, I consider that you got the little bit familiar with the community. Its usage and creation are actually overrated as it is much simpler to use than what people have created a buzz about it. It has lot more interesting features which can never be covered in one single blog. Now it’s your turn to unwrap these. Happy Going!! !….